This entry is part 25 of 38 in the series Praise Ye The Lord. Jesus said "They do not belong to the world, just as I do not belong to the world." In Jesus we have an intercessor to continually appear for us to God the Father. Jesus is the only guarantee for our safe delivery to the heaven above and our keeping until that time. 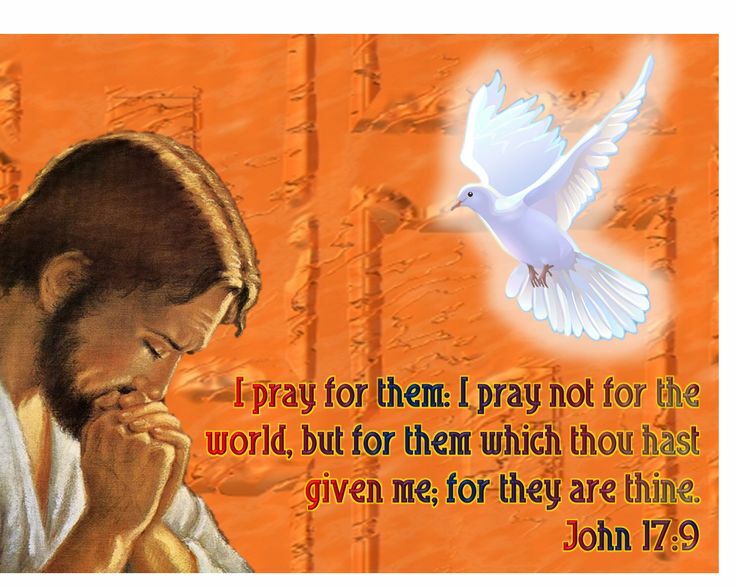 Jesus prays not for the world but for those who are His. He prays for the preservation of our salvation. He prays that we might have His joy. Jesus prays that we are fortified against the evils of the world, that we are purified through His Word, that we manifest oneness with Him, that we are edified in Him and at last behold His glory. Believers in Jesus Christ who have the support of this prayer, as true children of God, cannot be lost. If any among us falls, not being a true believer, the fall is for all eternity. 70 Jesus answered them, Have not I chosen you twelve, and one of you is a devil? 71 He spake of Judas Iscariot the son of Simon: for he it was that should betray him, being one of the twelve. Prayer by Jesus is the perfect intercession of our High Priest in heaven. From the movie: "The Visual Bible: The Gospel of John (2003)"
Precious. As He prayed for His disciples, He was also praying for us, now, the same prayer. And He intercedes for all of us, right now. What that brings to mind is that His intercession is necessary because of the accuser who accuses us. Jesus intercedes. I'm so thankful for that. Beautiful verses and prayer. Thank you for sharing it. God bless you. Amen. I'm watching this again for the umpteenth time. I never grow tired of reading and hearing the TRUTH in these verses. God bless you. What a wonderful Savior and Friend. We are so familiar with His Words now. What will it be like when we meet Him in the flesh, and talk about how we have used His words in this lifetime.